Manal Issa stars as woman who embarks on journey of self-discovery in brothel in revolutionary Damascus. Syrian filmmaker Gaya Jiji’s long-gestated drama My Favourite Fabric, about a young woman’s voyage of self-discovery in a Damascus brothel on the eve of Syria’s civil war, has started shooting in Istanbul. 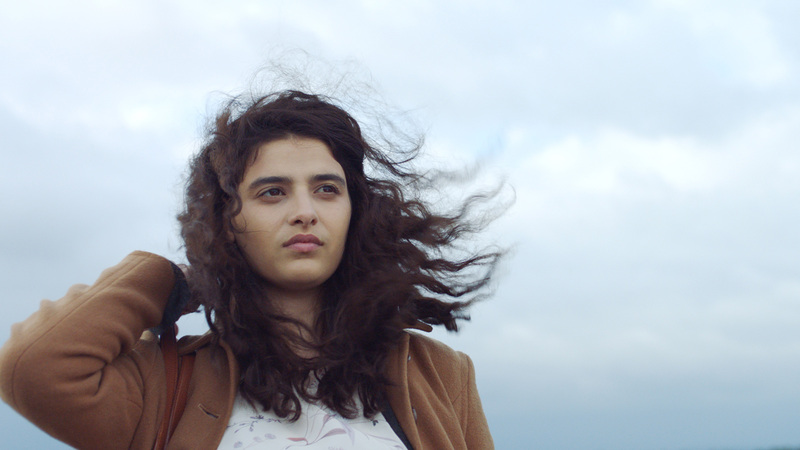 Set against the Syrian capital in the spring of 2011, the feature revolves around 25-year-old Nahla, a young woman who feels stifled by her humdrum life. An arranged marriage to US-based Syrian expat Samir offers a ticket to a new existence but he unexpectedly he selects her younger sister, the more docile Myriam, to be his bride. Following Samir’s rejection, Nahla strikes-up a friendship with a new neighbour, Madame Jiji. This mysterious figure, she discovers, runs a brothel. Fascinated by this environment, Nahla embarks on a journey of self-discovery. Lebanese actress Manal Issa (pictured), whose recent credits include Parisienne and Nocturama plays Nahla opposite Palestinian actress Ula Tabari (Villa Touma)as Madame Jiji. The shoot began in the Turkish city of Istanbul on Tuesday (June 13). Syrian auteur works such as My Favourite Fabric ﻿— set against the backdrop of the 2011 uprising — are a rarity at a time when the country’s once thriving film and TV industry lies in tatters, with many of its professionals living in exile, due to the resulting civil war. Jiji, who was studied in France before returning to her native Syria in 2010, started writing the screenplay in Damascus over the course of 2011 and 2012. “I wanted to capture what I was seeing around me but not in a documentary-style but rather in a personal, subjective way… through the journey of this young woman,” she explains. DOP Antoine Héberlé, whose credits include Paradise Now and A Woman’s Life, is also on board. Jiji has been developing the work over a five-year period, presenting the project at various events including the Dubai Film Connection, La Fabrique des Cinémas du Monde and most recently the l’Atelier de la Cinéfondation in Cannes in 2016. Laurent Lavolé of Paris-based Gloria Films is lead producing the film, in coproduction with David Hurst of Bordeaux-based Dublin Films and Eiji Yamazaki Les Films de la Capitaine, which is also based in Paris. International co-producers include Germany’s Vanessa Ciszewski of Katuh Studio, in coproduction with ZDF/Das kleine Fernsehspiel in cooperation with ARTE, and Turkish co-producer Nadir Operli at Liman Film. Urban Distribution International is handling international sales. Sophie Dulac Distribution will distribute in France. The project has also received financial support from France’s Aide aux Cinémas du Monde, the New Aquitaine Region, Eurimages, the French-German Mini-Treaty and the Screenplay Development Fund of the Amiens International Film Festival.